Bike locations - located across the Kent and East Sussex countryside. Download the Mobile app ‘Linka Go’ and use it to unlock our internet enabled bikes. The Nevill Crest & Gun in Eridge (Walk down from Eridge Rocks to join the Sustrans route 21 and wonderful High Weald scenery through Groombridge and then onto the Forest Way). 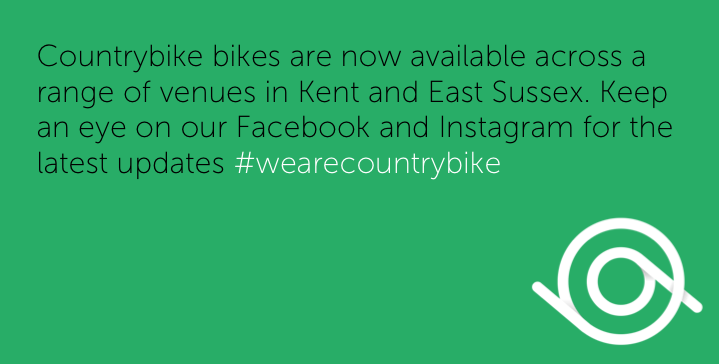 Follow us on Facebook or Instagram at wearecountrybike for up to date news on new venues or email us asking us to update you when we launch new sites – hello@countrybike.co.uk. Locations of all bikes are also searchable on the interactive map contained on the Mobile app. Once you have downloaded the app and entered your details you can hire bikes from any of our partner venues by simply scanning the QR code on the bike.